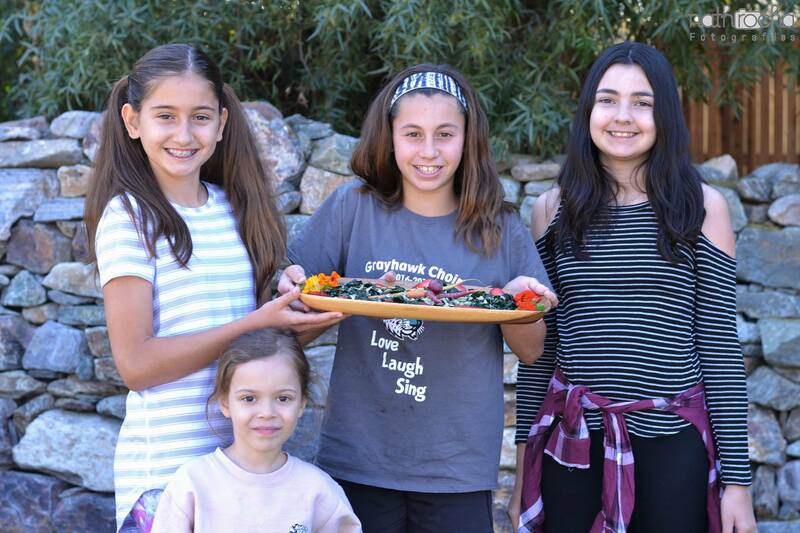 Hands-on cooking class, just for preteens ages 9-14. Fun cooking experience with Intuitive Cooking Expert and Author, Melanie Albert, at The Farm at South Mountain. During the class, kids will enjoy making their own culinary creations with their favorite local, in-season farmers’ market veggies. The kids will learn how to make fun cold veggie soup with tomatoes, peppers, and cucumbers. And, they will create their own unique hummus wrap with fresh spring herbs and spiral veggies. Vegan, gluten-free, and dairy-free. The kids will have fun decorating their own plates and enjoy eating with new friends in the beauty of The Farm. Class geared for older children, ages 9-14. Please wear shoes for walking and sunscreen if you need, as we will be outside. Please remember that outside food, drink and coolers are not allowed at The Farm.